Our Lady of Perpetual Help Parish Narthex can be used by parishioner families for visitation and gathering for funerals. The pastor makes the final determination regarding all details. Those who use the Narthex are reminded that this area is part of the Parish/Church complex and to use respect and care for the religious nature of the facility. The Narthex will be opened and lights on 15 minutes before the scheduled time period. The family can arrive at this point. Please do not enter through the social hall as other events may be taking place. The family is asked to depart 15 minutes after the ending time. The use is confined to the Narthex. The parish hall and kitchen are off limits. Chairs will be set up for the family and visitors. Rest Rooms are available adjacent to the Narthex and handicap facilities are in the upper hall lobby. Display boards can be brought in by the family. The Parish can provide 2 easels. Music is permitted. The family is to provide both the music and sound device. Discretion is urged on the choice of music remembering the religious nature of the building. Power point or videos are permitted. The family is to bring in all necessary equipment. Discretion is urged on the choice of music and images remembering the religious nature of the building. Floral displays can be placed in the Narthex, usually near the casket or urn. Floral displays will be accepted only the day/evening of the visitation. Floral arrangements are to be taken home after the visitation hours, except if some are to be used on the altar for the funeral Mass or service. Children running around present dangers to themselves. Parents are asked to get sitters for young children and to keep children from running through the complex and between the pews. No alcohol is permitted. No food or beverages are permitted, except bottled water. The family will be responsible for any damages resulting from the use of the Narthex. There will be a staff person available to handle any concerns that arise. Depending on the availability of the Narthex and the length of the time of visitation, the fee ranges between $250.00 and $600.00. 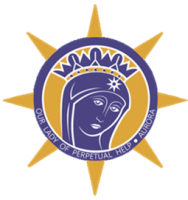 For families that list Our Lady of Perpetual Help Memorial Fund in the obituary, there is a $100.00 reduction in fees.